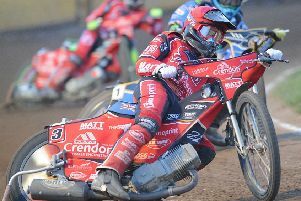 Peterborough Panthers rider Jack Holder scored six points in the opening round of the Australian Championship. The new ‘T Balfe Construction’ Panthers signing managed two second places and two thirds in his five rides at Gilman yesterday (January 4). The round was won by Davey Watt, who beat Justin Sedgmen, former Peterborough man Troy Batchelor and Nick Morris in the A Final. The national series continues this Saturday with the second round being held at Mildura. It then moves into Undera on Wednesday before reaching a climax at Kurri Kurri on January 14.